Yakima Auto Body and Collision Repair Shop - G.O. 's Collision Center-"Providing auto body collision repair services to the residents of The Yakima Valley"
At G.O. 's Collision Center we provide a complete range of auto body repair services to the residents of Yakima, WA. and surrounding areas. Our highly trained professionals are hand-picked from the best in the industry to ensure you that your vehicle gets the best treatment possible. We are certified by BMW and we also specialize in Mercedes, Chrysler, Lincoln, Mitsubishi, Lexus, Mercury, Hyundai, Subaru and all General Motors and Ford Products. Gary Oliver, the owner of G.O. 's Collision Center, has over 30 years of experience in the auto body repair business. Together with his team of highly trained technicians, G.O. 's Collision Center has created a company that is certified by the Service Technicians Society. G.O. 's Collision Center is proud to offer the best auto body repair services in the Yakima, WA area. We have built a strong reputation through hard work and by taking pride in providing you with the highest quality of auto body repair services. We guarantee complete satisfaction when you choose us. Whether it is a major collision repair or a minor door ding, we’ll get your vehicle back to pre-accident condition as quickly as possible. We know you have the right to choose which Yakima auto body shop repairs your vehicle and that’s why we are committed to quality workmanship, superior customer service and a level of professionalism. 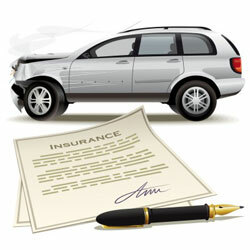 We will work directly with your specific insurance company to make the process as stress-free as possible. You do not have to be an insurance claims specialist to know, that we will work to make sure you are getting the best possible repair solution possible. As a full service repair facility we know and understand what the true value of your repair will cost. Send us your estimate and we will have one of our trained specialist review your claim and make sure you are getting a fair value from your insurance company for FREE. This is a service we extend to anyone that is looking for that extra piece of mind when it come to their vehicle repair. No gimmicks, No obligations, No hidden fees. So if you don’t understand the estimate you received call, fax, email, or drop off your estimate for your FREE estimate review. Please know as a customer at G.O.’s Collision Center we are committed to ensuring you receive top notch repairs while maintaining your peace of mind. That is why more people choose G.O.’s Collision Center for their auto body repair needs!